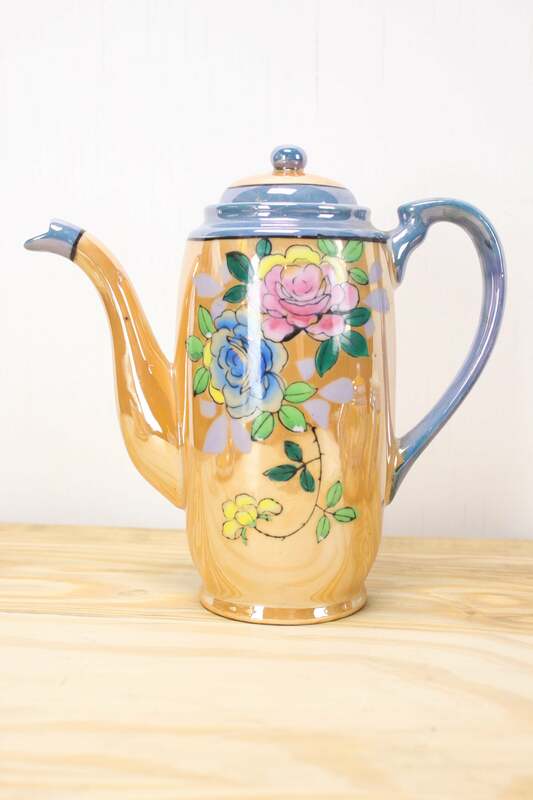 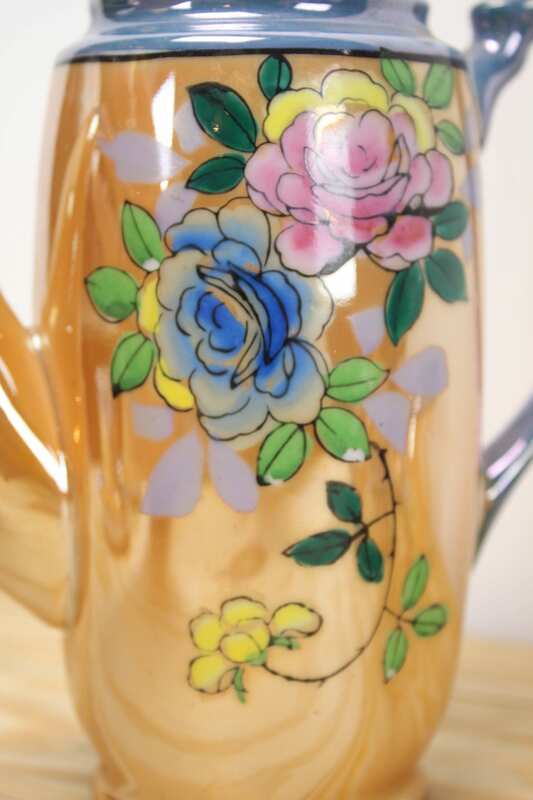 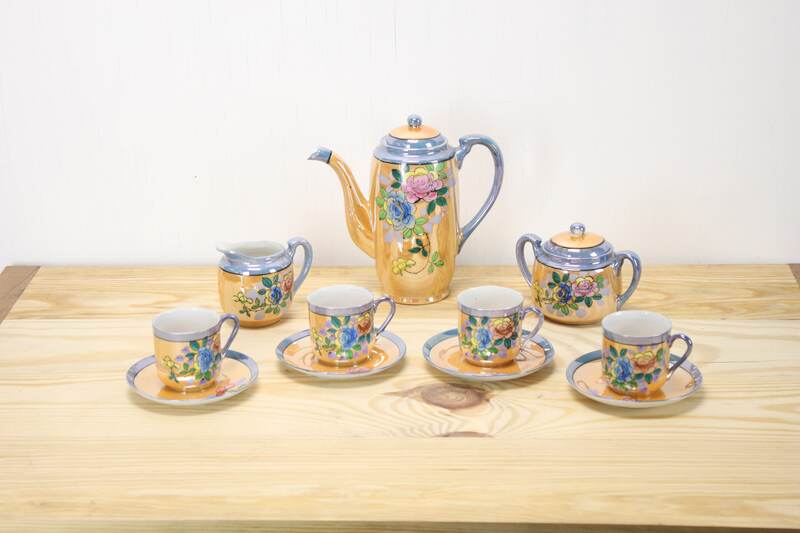 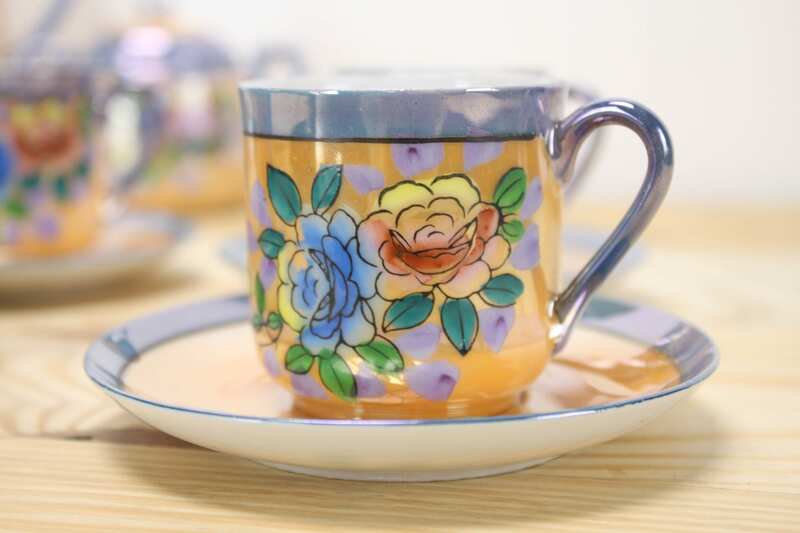 This amazing early 20th century Japanese made fine-bone china tea/coffee set features a colorful, hand-painted flowers overlaid on a blue and orange lusterware glaze! 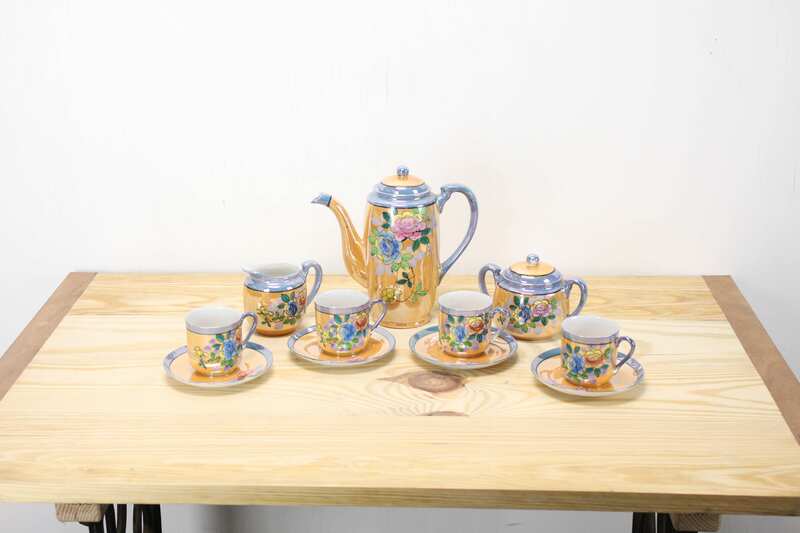 Imperfections due to the manufacturing process are quite common in set from this era - they usually manifest in the way of bubbles in the glaze or pieces of slip that were left behind and fired onto the piece. 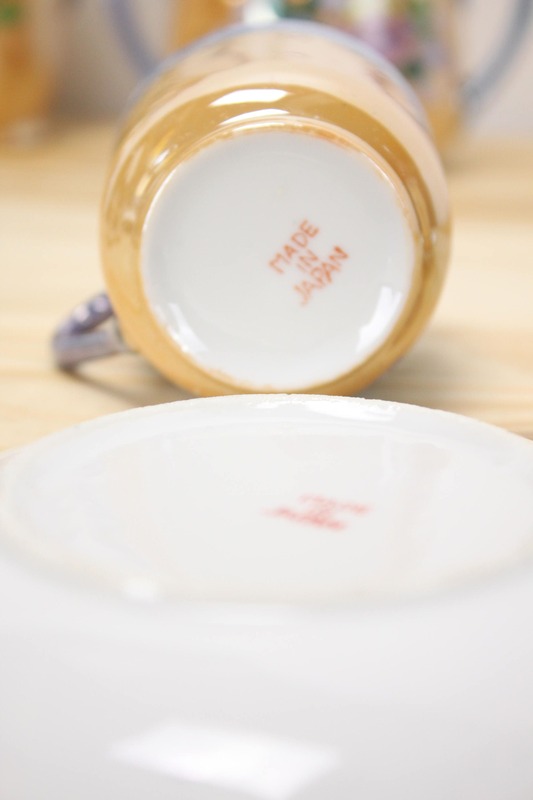 However, this set features a factory original flaw that is quite unique! 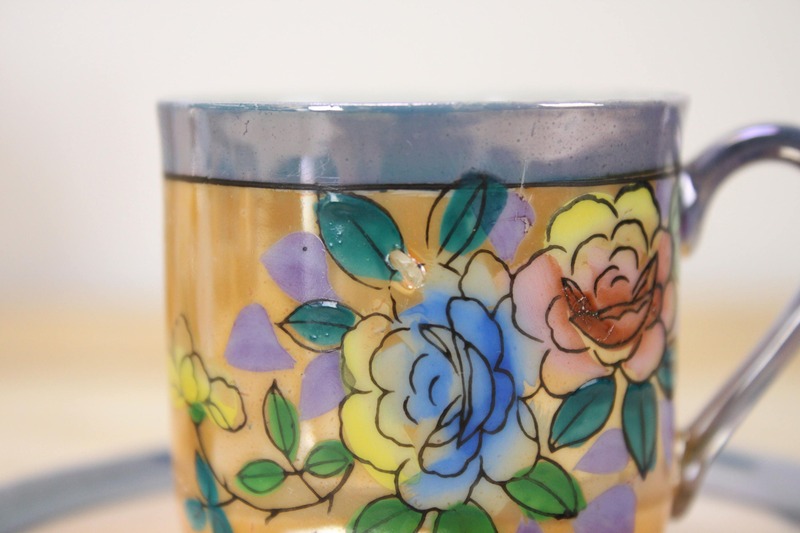 One of the cups has a hole just above the mid level mark (Photo 4) - Meaning that it can not be filled without leaking. 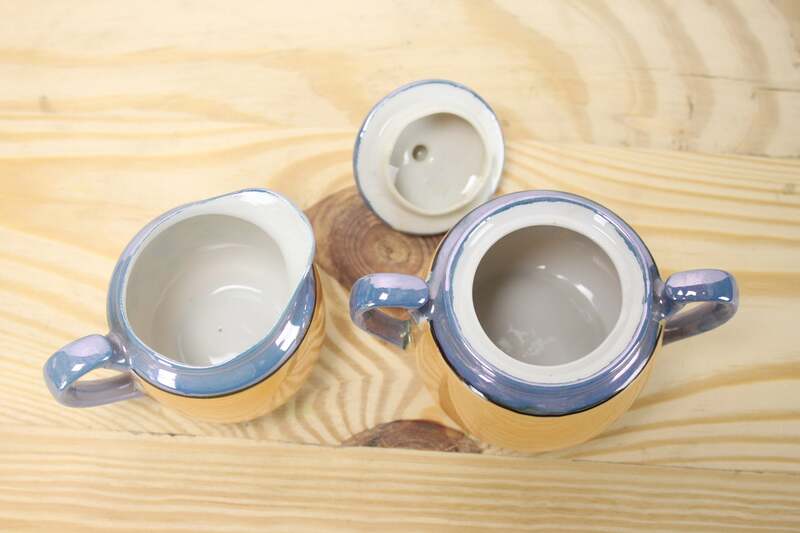 The fact that this was missed by not only the potters but also the painters and quality control makes this set an extremely rare example. 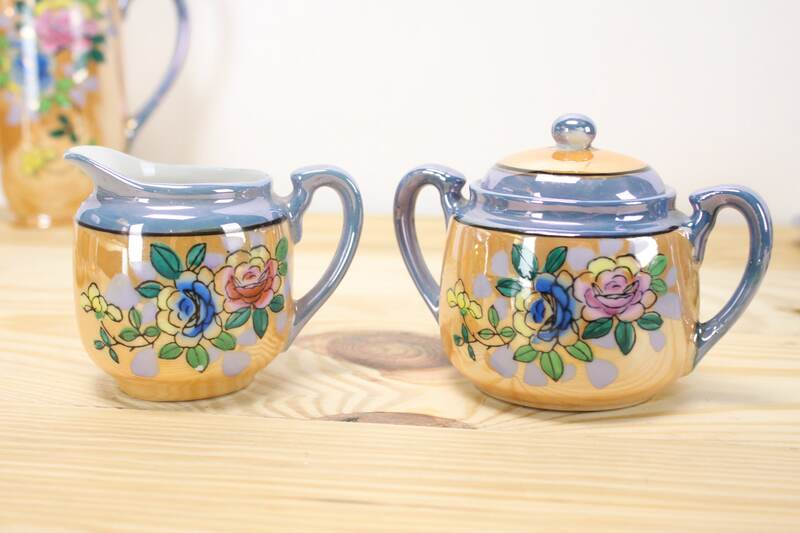 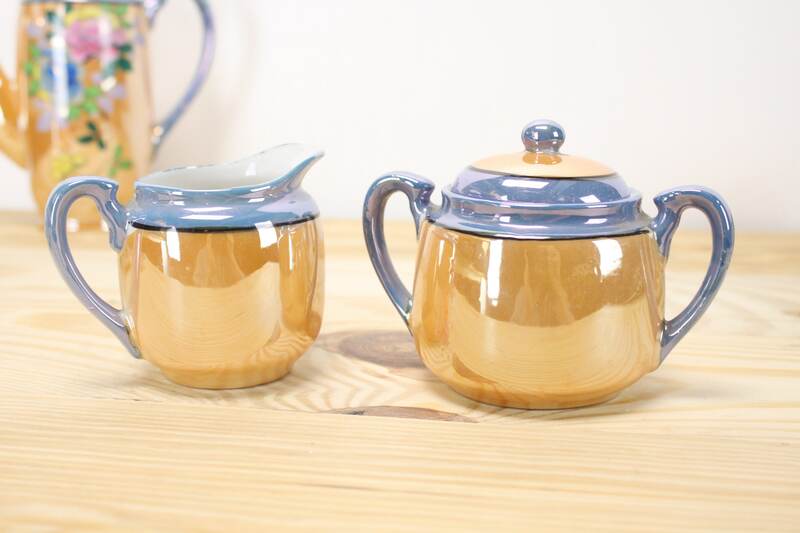 - Sugar bowl: 3.5" x 3" x 4.5"
- Creamer: 3" x 2.5" x 3.75"
- Cups: 2.25" x 2.25" x 3"
- Due to the handmade aspect of this set there are minor variances from piece to piece.